So you know getting a backup generator is a great idea, but you just can’t afford to purchase one? Well, could you afford $40 for a small backup generator? If you search around at you local junkyard or landfill you should be able to pick up most of the bits required to build this DIY lawnmower generator. There are a few extras you’ll likely need to purchase, but you could bring this in for $40. 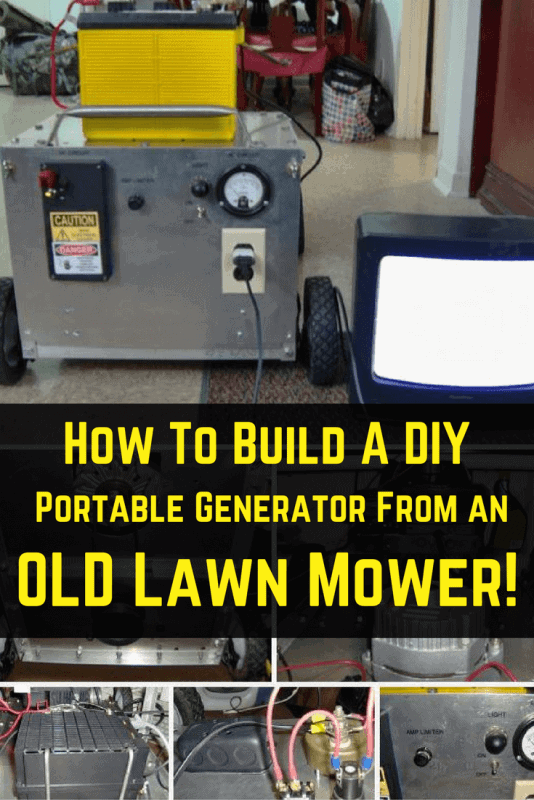 As this is a DIY generator built from a lawnmower, it isn’t going to power your whole house, it won’t run your AC, heating or large kitchen appliances; it will, however, keep the lights on and power smaller electronics etc. Check out the awesome and very detailed build tutorial below. So you want to be more self-sufficient, or maybe you just want a backup for when the power’s out? The thing is, money is tight and you’ve looked into the buying a commercial generator, but you were put off by the cost or the quality of the cheap Chinese imports… What can be done? Well, how about converting the old unused lawnmower in the shed into a low-cost generator? Alternatively, old lawnmowers can be picked up very cheaply at yard sales etc. In its simplest form, this will be a DC generator which can be used to charge backup battery banks which can be used for backup power if your main power source is down. With a bit more work you can fit a DC to AC inverter which would enable you to power your electrics straight from the generator. The thing to bear in mind is – your average mower motor will not be as powerful as a commercial generator. That doesn’t mean this is useless, just that it has its limitations. It is a good option for charging battery banks and it would be a good back up for solar panels and wind turbines when the sun is not shining and the wind is not blowing. If you fit a DC to AC inverter you could also directly power your lights and other low power devices.